Where trends and innovation go for a weekend getaway. 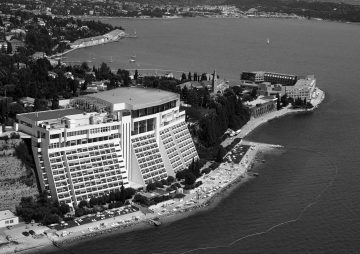 SEMPL is hosted by the prestigious Grand Hotel Bernardin that is located halfway between picturesque town of Piran and cosmopolitan city of Portorož. This is why SEMPL is not only a great opportunity to boost your business but also a great excuse for weekend getaway at the seaside. Do not miss your opportunity, Ljubljana and Venice are just a short trip away. 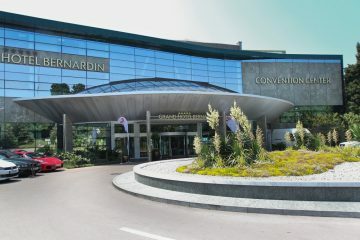 One hour drive from Ljubljana in direction of Portorož will safely take you to Grand Hotel Bernardin. The closest airports Jože Pučnik Ljubljana (140 km from Portorož) and Trieste Ronchi airport (65 km from Portorož) offer daily flight connections all across Europe. You can book your flights also to Venice Treviso (184 km from Portorož) or Venice Marco Polo (188 km to Portorož). After that just book a GoOpti shuttle and enjoy the comfortable ride to the venue. SEMPL’s coffee breaks and networking take place on the most beautiful terrace of the Slovenian coast.